This work represents the culmination of many thousands of research hours pouring over ancient land titles, reading old newspapers, history books and almanacs, sifting through shipping records, hunting through church archives, discovering old legal documents and studying formal Hansard political records. The story is a complex mix of social history, colonial settlement, family crises, church disunity and political intrigue as Australia moves towards Federation and beyond. The story tells of floods and droughts, wealth and poverty, of gold discovery and bushrangers, fame and fortune, business opportunity and land speculation and the use and abuse of power by influential leaders. 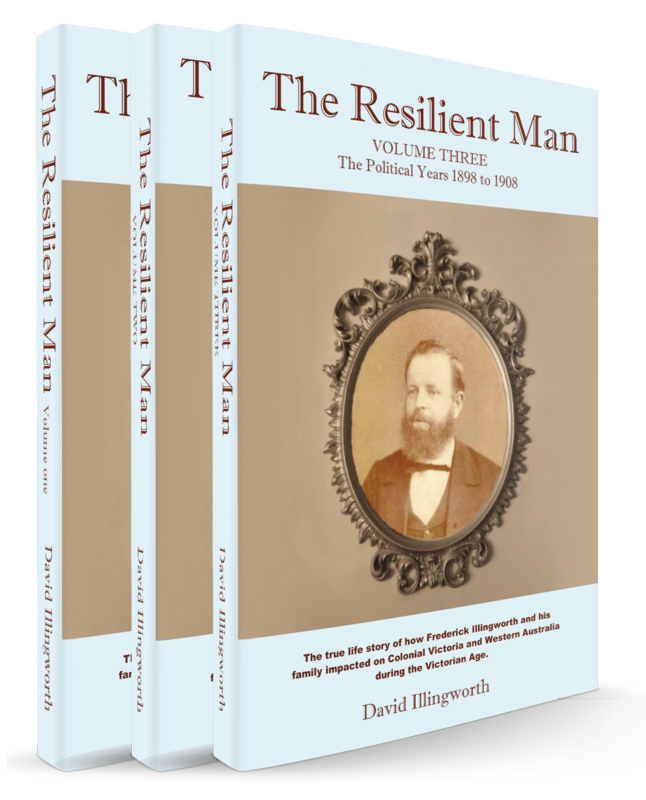 The central character Frederick Illingworth migrates with his family to Australia in 1848 where he grows up in poverty in the Port Phillip district. Influenced by church leaders and business mentors the youthful entrepreneur rises to positions of power and influence in the church, business world, Temperance Union and ultimately politics in the burgeoning colony. Amidst family tragedy he forges his way to be a successful timber merchant in Bendigo, an inspiring church preacher and dedicated temperance worker. He grasps a fine ironmongers business opportunity in central Melbourne and starts to invest heavily in property. In the 1880's the Temperance movement, and particularly its leaders, directed the course of Melbourne property values and drove the "Never to be forgotten Land Boom" to extraordinary heights. Urged on by these Temperance Movement leaders Frederick's land investing turns to exuberant speculation. Frederick joins with likeminded friends to establish the Centennial Land Bank as a vehicle for even further speculation. He meanwhile makes his mark as a member of the Legislative Council of Victoria. The boom in Melbourne property crashes and Frederick travels to England to shore up his failing investments. Unsuccessful he returns to Australia to make a new life in Western Australia. He starts back as a land agent and then again as a politician. In politics Frederick makes a significant impact. He fights for the liberal and democratic rights of the poorly represented gold miners against the might of the six family oligarchy, led by Sir James Forrest, that controls power in the flourishing colony of Western Australia. Frederick plays an important part in the rocky and controversial progression of the Colony into the Federated union with the Eastern States. In a closely contested election in 1901 Frederick's side of politics wins power and Frederick becomes an important minister of State. He regularly dines and socializes with the elite of society and even meets with members of the royal family. The rise of the Australian Labor Party unseats Frederick in the Murchison after 10 years of faithful service. Undaunted by the setback he nominates and wins the seat of West Perth and continues his political career. A specialist in constitutional matters and as an older, experienced politician he is elected to spend many parliamentary sessions in the Speakers Chair. His retirement from politics becomes a controversial affair when the Government vote to give him a £1000 grant for his long service to the State. The controversy degenerates into a long and bitter debate about corruption and misuse of political privilege. 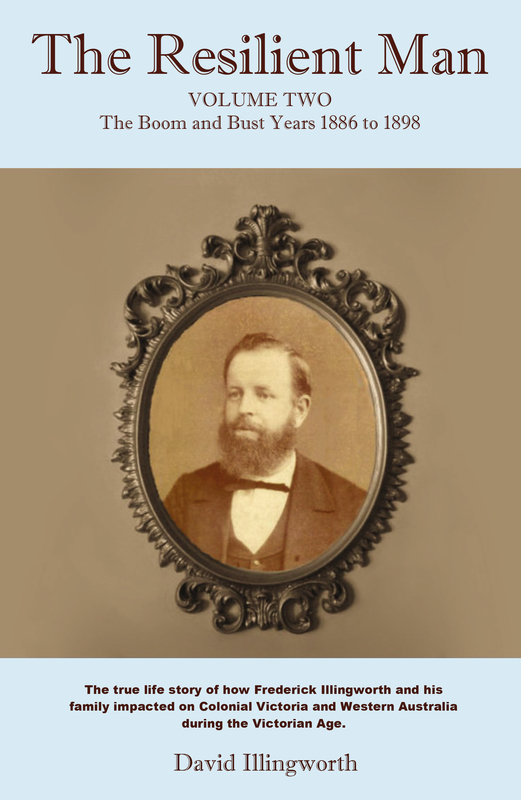 Eventually the House calls for Royal Commission into Frederick's dealings whist he was a Minister of the Crown. The findings of which are transmitted to him in his final days.